Episode 83! John Hartness hung around with us to discuss the series finales of Flash, Arrow, the X-Men movie, the timing of Spoilers and more. John G. Hartness is a teller of tales, a righter of wrong, defender of ladies’ virtues, and some people call him Maurice, for he speaks of the pompatus of love. 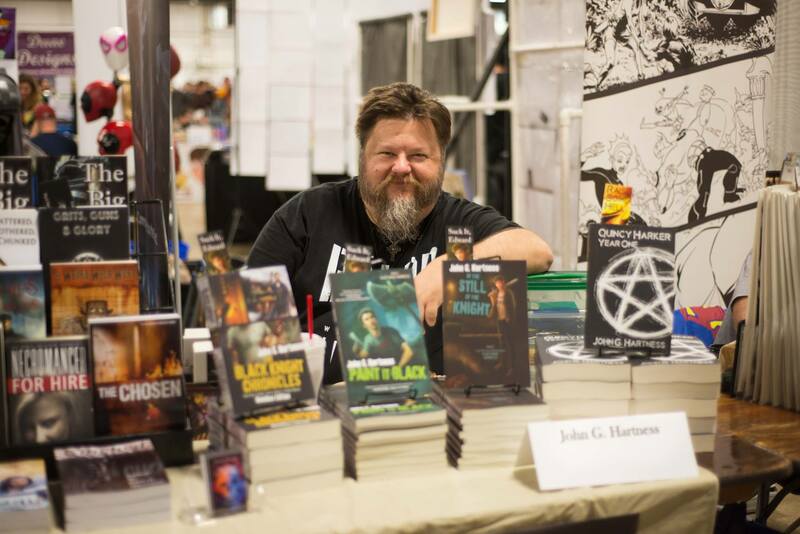 He is also the author of the EPIC-Award-winning series The Black Knight Chronicles from Bell Bridge Books, the Bubba the Monster Hunter series of short stories and novellas, the Quincy Harker, Demon Hunter novella series, and the creator and co-editor of the Big Bad anthology series, among other projects.